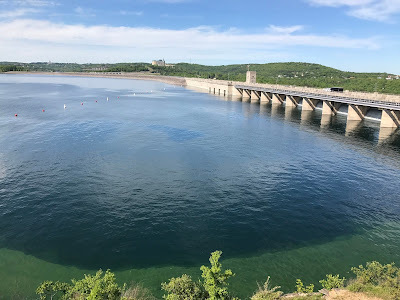 Major League Fishing® (MLF) announced today that Missouri's majestic Table Rock Lake, located in the heart of the Ozarks at the city of Branson, will be hosting the 2019 MLF Bass Pro Tour's Stage Six event, May 17-22, 2019. The popular tourist destination community and the big 67-square-miles reservoir are both well known for their angler hospitality and serving up a quality bass tournament experience for participants and spectators alike. Most of the 80 pros in the event have fished on Table Rock before, but this will be their first time as competitors in the newly formed Bass Pro Tour and as the first bass anglers to achieve professional status in the sport's league that requires no tournament entry fee for competitions. "Major League Fishing is showing professional competitive fishing in the same manner that Americans see other sport organizations, such as the NFL, MLB, PGA, NASCAR, etc.," said Jeff Seifried, President/CEO, Branson/Lakes Area Chamber of Commerce and CVB. "Branson is excited to host these great anglers on our pristine lake." 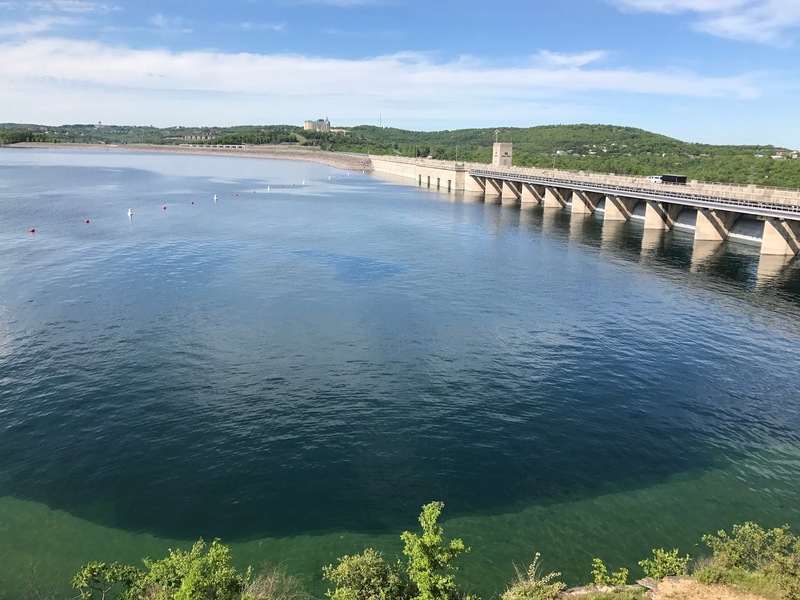 "Table Rock Lake has it all - largemouth, smallmouth, spotted bass - and some of the most beautiful scenery in America," said Michael Mulone, Senior Director of Events & Partnerships for Major League Fishing. "Branson is a fantastic destination known for reeling in tourists and we are looking forward to highlighting "The Rock" to a national audience. 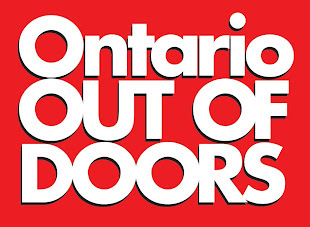 The region's extreme geography also calls for league officials to manage where anglers can fish due to MLF's stringent connectivity requirements because MLF NOW! live stream and SCORETRACKER™ are critical components of the event's execution and coverage. 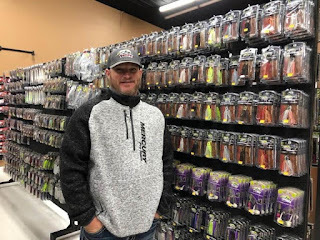 Picasso Lures, the innovative manufacturer of fishing tackle, announces the addition of North Carolina Bassmaster Elite Series Pro Hank Cherry to their National pro staff. The 44-year-old Cherry is a veteran of 155 pro level events between FLW and B.A.S.S. Competition, has amassed 25 career top 10 finishes, six career victories, nearly $700,000 in career earnings, and the title of 2013 Elite Series Rookie of the Year. Cherry joins the staff of a company that is regarded as an innovator, and quality products are a strong reason he loves Picasso Lures. "A great deal of my fishing style is built around jig fishing, as well as bladed jigs, and I trust Picasso’s baits entirely," he said. “Their bladed jigs are the best vibrating jigs I have used, the Rhino Head is one of the best jigheads I have ever used with a worm, and the jigs are top notch; they help me catch more fish." Being able to get involved in development personally is another reason he joined the team. "Picasso has always had a reputation for listening to their pros and building products specifically to their needs and desires," he said. 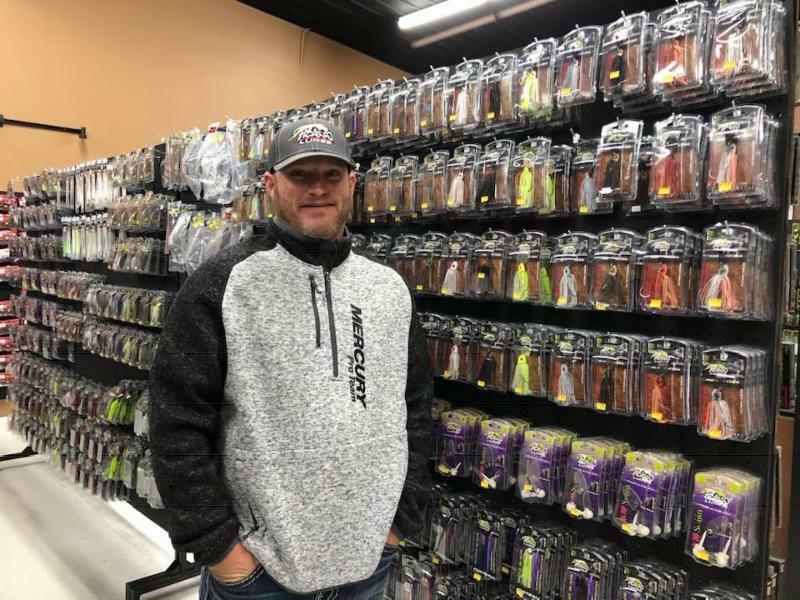 "I'm truly looking forward to being able to work with them and come up with new products that I can share with the fishing public to help us all catch more fish." Labels: Picasso Lures Catches Hank Cherry! Hunninbird Electronics has improved their fantastic Helix and Solix models with the 2019 addition of Mega Imagining Plus. Delivering up to 3X the output of standard Side Imaging®, MEGA Imaging technology took fish finding into the megahertz frequency for the very first time. Humminbird improved this technology even further by extending the depth range and expanding the side coverage areas, all while improving the crystal clear imagery. 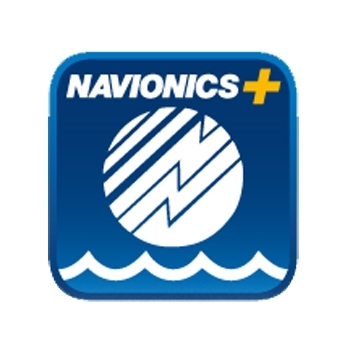 It's indisputably the clearest, sharpest sonar image ever-brought to you by the undisputed leader. More anglers are finding structure and fish they didn’t know were there, thanks to the clarity of MEGA Imaging, pioneered by Humminbird. Using this high-frequency sonar, you can easily distinguish fish from structure, see the direction fish are facing and even target individual species. And with new MEGA Imaging+™, there’s absolutely no place left to hide, thanks to extended range and depth, plus 20% more detail than MEGA Imaging. 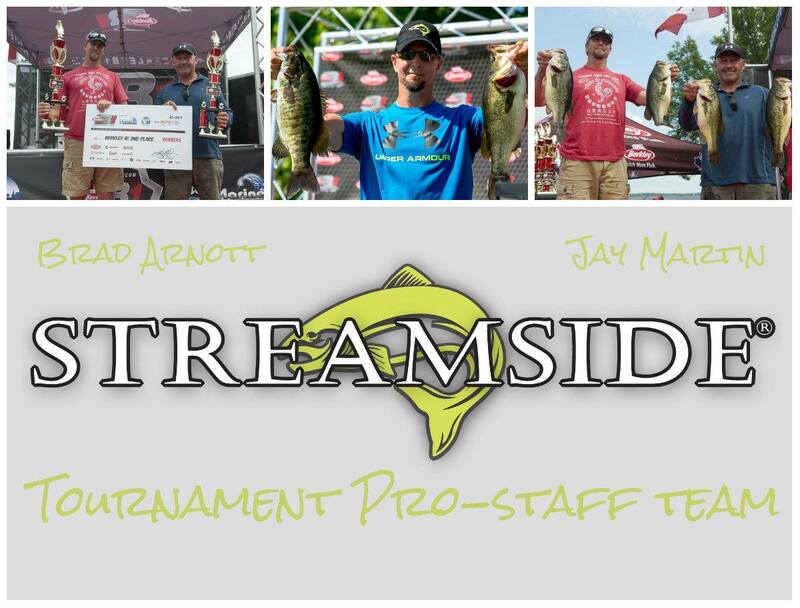 Streamside is pleased to announced that Jay Martin and Brad Arnott have join the Streamside Tournament Pro-staff team for 2019 representing Streamside on the tournament trails. 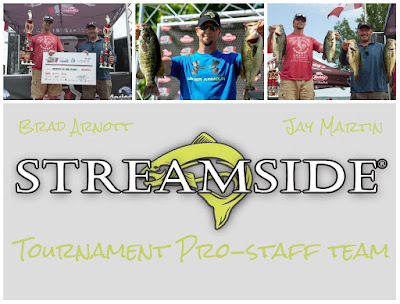 Jay and Brad have been one of the most consistent teams and anglers on the tournament trail for the last 15 years. With over 15 tournament wins, over 60 top 5's and 3 classic wins. They will be fishing with the brand new Predator Elite rods and spinning reels. Great to have both of them on the Streamside team. Edwin Evers Wins BPT Lake Conroe Event with 51-12lbs! Evers adds a win and a 2nd place in 2 BPT tournaments. 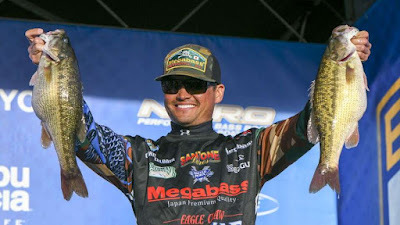 In the immediate aftermath of the first MLF Bass Pro Tour event in Kissimmee, Florida two weeks ago, Edwin Evers’ dissatisfaction with finishing second was palpable. Ever the professional, Evers complimented his fellow competitors and smiled for photos at the Berkley Postgame Show, but no talk of Cup points could bring the Oklahoma pro comfort. Sunday afternoon on Lake Conroe, Evers made sure that the only postgame talk would be of how he earned his first-ever MLF Bass Pro Tour trophy. 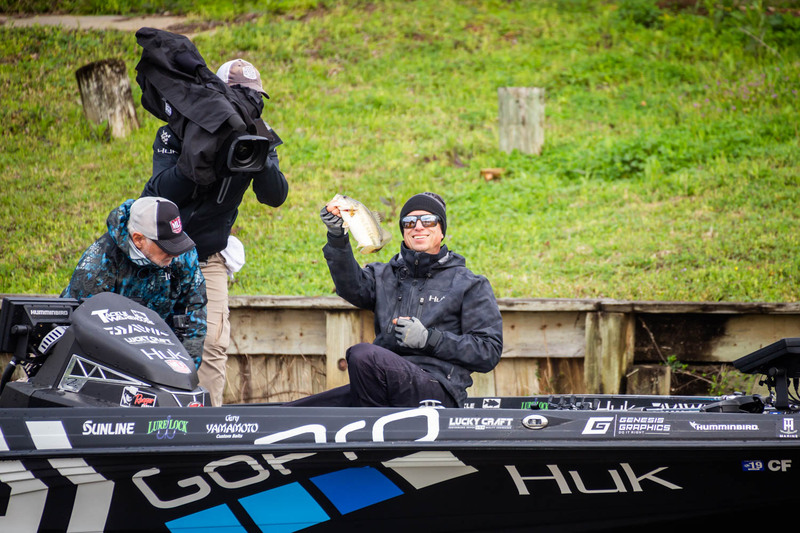 Evers racked up 51 pounds, 12 ounces to outdistance Jeff Sprague, (40-8), Boyd Duckett (35-15), Brent Ehrler (34-13) and David Walker (34-7) and claim the win at the Bass Pro Tour Huk Stage Two presented by Favorite Fishing. 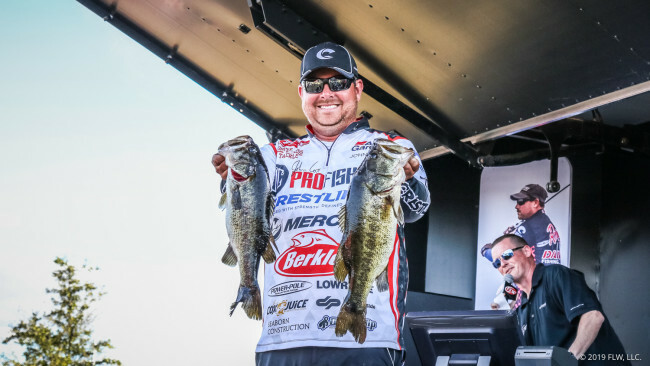 The Oklahoma pro caught 24 scorable fish on the day, including an exclamation point with 9 minutes left in competition: an 8-1 that hit a drop-shot Berkley Havoc Bottom Hopper. Evers’ pattern was to flip his way down the bank with a Black Blue Berkley Havoc Pit Boss, picking out small indentations and grassy, undercut banks and flipping his bait as close to the bank as he could. He also caught some fish on a vibrating jig. Paul Mueller Wins 2019 BASS Elite on Lake Lanier with 69lbs! Mueller's first Elite a family celebration. Former B.A.S.S. 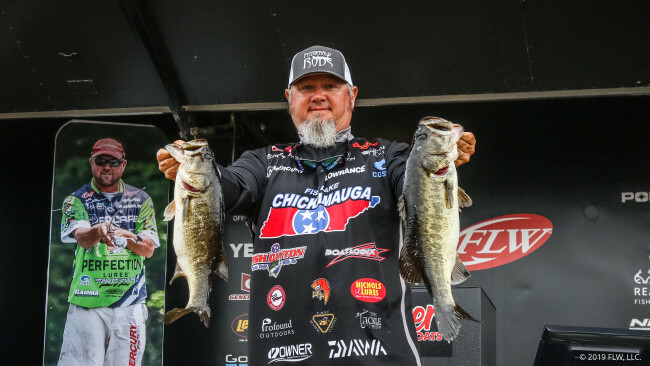 Nation Champion Paul Mueller proved he belongs in the big leagues of professional fishing by winning a spotted bass shootout on Georgia’s Lake Lanier. 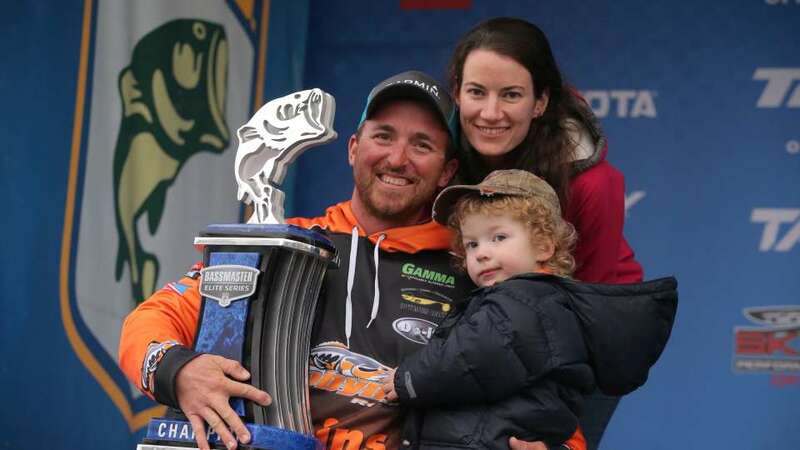 Mueller earned $100,000 by winning the Toyota Bassmaster Elite at Lake Lanier today. Desperate to fill out his five-bass limit with bigger spotted bass, Mueller returned to a deep ridge that had produced most of his big spotted bass on previous days. There, he managed to dredge up two big spotted bass that pushed him ahead of Texas angler Chris Zaldain by less than a pound. He described the structure as a large, underwater ridge with two shallower areas on top and very deep water on each side. He caught most of his spotted bass the first day on a Reins Bubbling Shad on a Do It Molds Freestyle Jighead, but the big producer the rest of the time was a 3 1/4-ounce Reins Fat Rockvibe Shad Swimbait on a 1/2-ounce herring head underspin jighead with the spinner removed. “Who would have thought you could win this tournament — a blueback herring tournament — off of one spot?” he said. In fisheries where the nomadic herring are a main staple of bass diet, spotted bass are notorious for leaving their holding areas unexpectedly and en masse. That happened to Zaldain, who also had to contend with a wind shift today that moved his schools of bass. A sudden drop of temperatures into the low 40s didn’t help. “I fished long, sloping points all week and had to switch to western banks today because of the east wind,” he said. 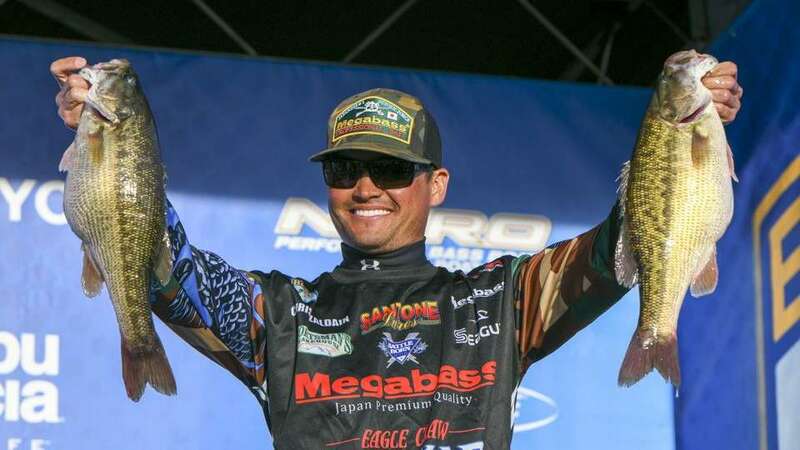 Zaldain was the leader with 51-9 going into Championship Sunday, when only the Top 10 finalists competed, but he fell short with a 16-9 limit today that included two smaller bass. He alternated between a 3-inch Megabass Spark Shad swimbait on a 3/8-ounce jighead and a 3/8-ounce drop shot with a 3-inch Megabass Hazedong Shad. Unlike Mueller and Zaldain, the others in the Top 5, and most of those in the Top 10, fished crankbaits in shallow to medium depths, especially on shorelines and points in 38,000-acre Lake Lanier. Keith Combs of Texas finished third with 66-1, earning a $20,000 payday that pushed him into the Millionaire’s Club of B.A.S.S. His career earnings now stand at $1,001,635. He alternated between Strike King crankbaits and a 6-inch shaky head worm and followed a “run-and-gun” pattern to try numerous spots during the day. “I didn’t stay anywhere long,” he said. Stephan Browning jumps into Top 10 at very last moment! Battle for the win starts tomorrow! 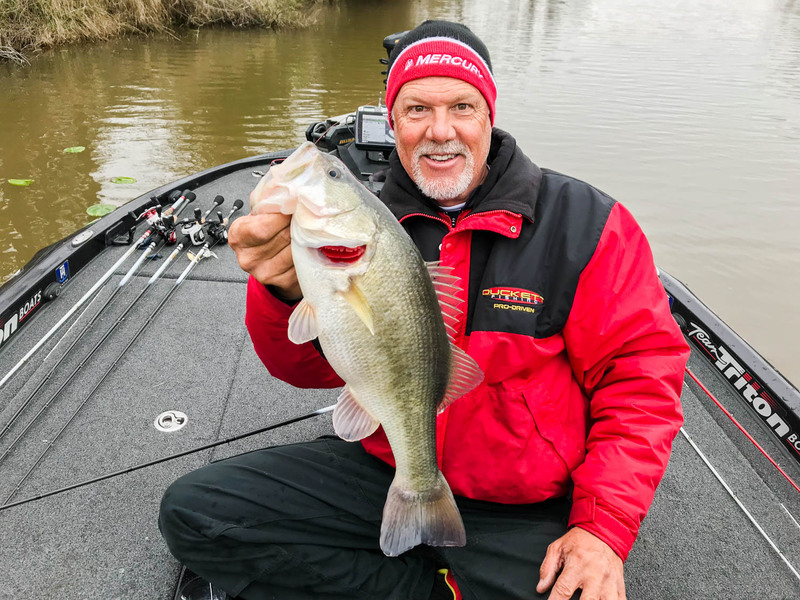 For the better part of the past year, Boyd Duckett has been "Mr. MLF" as he worked endlessly to establish the Major League Fishing® (MLF) Bass Pro Tour. 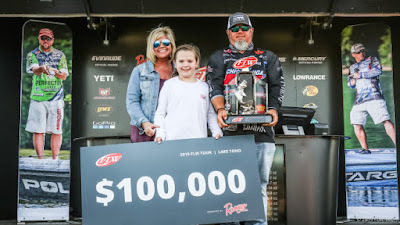 But for the seven hours of competition in the Knockout Round of MLF Bass Pro Tour Huk Stage Two Conroe presented by Favorite Fishing, Duckett was "Mr. Consistency". 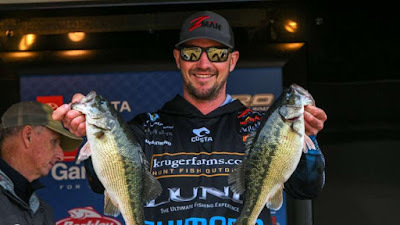 Duckett caught his first scorable bass 22 minutes into the competition at Lake Conroe and then steadily added fish to SCORETRACKER® throughout the morning and early afternoon, swimming a small worm. By the time Period 3 got underway, Duckett had already weighed 31 pounds, 14 ounces, and owned a 9-plus-pound lead on the field. The Alabama pro would eventually finish the day with 38-5 on 21 fish, followed by Gary Klein (30-1), Edwin Evers (29-2), Brent Ehrler (28-12) and Jordan Lee (28-12). "I've always been decent at compartmentalizing my fishing and my work, but I just couldn't make fishing the most important thing at Toho," Duckett admitted, referring to the MLF Bass Pro Tour's inaugural event in Florida two weeks ago. "Coming into this one, I told everybody that I was going to concentrate on my fishing. It's been nice to just be an angler at this event." And Duckett the angler has been consistently stout on Conroe from Day 1. He recorded 46 fish in his first three rounds, despite spending the majority of each competition day either looking for new water, or guarding what he considers his best area. "I like that this fishery is tough," Duckett said. "I've traditionally done well in events that are difficult to fish. You really have to figure out how to catch these fish, you can dial something in that's just a little bit different than what the other guys are doing." Randall Tharp (27-13), David Walker (27-10), Wesley Strader (27-5), Jeff Sprague (26-6) and Stephen Browning (25-13) filled out the Top 10 and will compete in the Championship. And while all five anglers endured their moments of stress, Browning had to work especially hard for his spot in the finals. Entering the last 10 minutes of competition, Browning, Shin Fukae, Keith Poche, Andy Montgomery and Jonathan VanDam all sat within 14 ounces of each other in the race to make the 10 cut. 2019 Bassmaster Elite Lake Lanier Day 3: Chris Zaldain Battles to Lead with 19-02lbs! Fishing deep paying off for Cali pro. For Chris Zaldain, this week has been an exercise in extreme patience. The California native, who is fishing his eighth season on the Bassmaster Elite Series, said many of his casts have been taking an excruciating five minutes from start to finish as he targets spotted bass suspended in 40 to 60 feet of water. But his patience has paid off, as he’s built a three-day total of 51 pounds, 9 ounces, including a Saturday catch of 18-4 that lifted him into first place at the Toyota Bassmaster Elite at Lake Lanier. Zaldain will lead the Top 10 remaining pros into Championship Sunday, with a $100,000 first-place paycheck on the line. Zaldain is fishing near Buford Dam on the lower end of Lake Lanier in water that he said is only 47 degrees. Having fished ultradeep, ultraclear water in California, he knew coming into the week that’s where the lake’s biggest spotted bass would be. “I’m fishing deeper than most everybody else,” Zaldain said. “I truly believe that’s where the biggest spots live because it’s the deepest, bluest, clearest water on the lake. Zaldain’s catch of 18-4 was his biggest of the week. But he doesn’t think duplicating that catch on Sunday will be enough to help him win. He believes a 20-pound catch is “more than doable” on the lake — and he says the conditions could be shaping up perfectly for it to happen. The Sunday forecast calls for a high of 49 degrees with a 90-percent chance of rain. “That’s exactly how it was when I had my best day in practice,” Zaldain said. “I keep checking those spots where I caught them really good in practice, and they haven’t been there. Zaldain can’t afford to stumble, with veteran pros like David Mullins of Tennessee (51-4), Paul Mueller of Connecticut (50-8) and Keith Combs of Texas (49-10) all within easy striking distance. After catching 17-12 and 19-6 the first two days, Mullins slipped a bit Saturday. But even as his game plan cooled, he still managed to catch 14-2. 2019 Bassmaster Elite Lake Lanier Day 1: Jeff Gustafson Grabs Lead with 19-02lbs! Gustafson fishing like back home! Jeff Gustafson said coming into this week that Lake Lanier on the historic Chattahoochee River was probably his favorite fishery in the lower 48 United States. Thursday didn’t do a thing to change his mind. The 36-year-old first-year Elite Series pro from Keewatin, Canada, caught five bass that weighed 19 pounds, 2 ounces and took the lead in the Toyota Bassmaster Elite at Lake Lanier. He said the lake reminds him of home — even though he is more than 2,000 miles away, fishing for green spotted bass instead of brown smallmouth. Gustafson learned to love Lake Lanier last year when he finished seventh here in an FLW Tour event. He said that prior knowledge told him what was swimming in the lake — but not how to catch them this week. “It’s completely different this year,” he said. “I didn’t catch fish off any of the places that I did last year. His biggest obstacle of the day was the light line he’s using to target fish in the clear water. He said he broke off two bass in brushpiles that could have helped him eclipse the 20-pound mark. Gustafson’s bag topped a day that was dominated by healthy spotted bass that looked like they had all swallowed footballs. David Mullins of Mount Carmel, Tenn., was second with 17-12, followed by Virginia pro Rick Morris with 17-6 and Californian Chris Zaldain with 16-15. 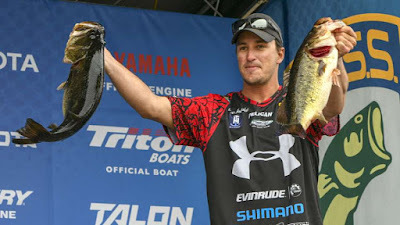 Like Gustafson, Mullins said his experience with smallmouth — albeit on Tennessee’s Cherokee Lake — played a role in his Day 1 success. “This lake fishes a lot like home, where you have a window in the morning for about an hour and half to two hours and then it kicks back up in the evening,” Mullins said. “It’s the same way at home — and if you have wind, it seems like they’ll bite all day long. 2019 BPT Lake Conroe Pool 1 Day 2: Wesley Strader Seal the Deal with 56lbs! Wesley Strader put enough fish on SCORETRACKER to finish on top of Group A. With the first Elimination Round of the MLF Bass Pro Tour Huk Stage Two presented by Favorite Fishing officially in the books, Wesley Strader can take a quick breath of relief and rest up for Saturday’s Knockout Round. Even more importantly, he can let his best water rest, too. 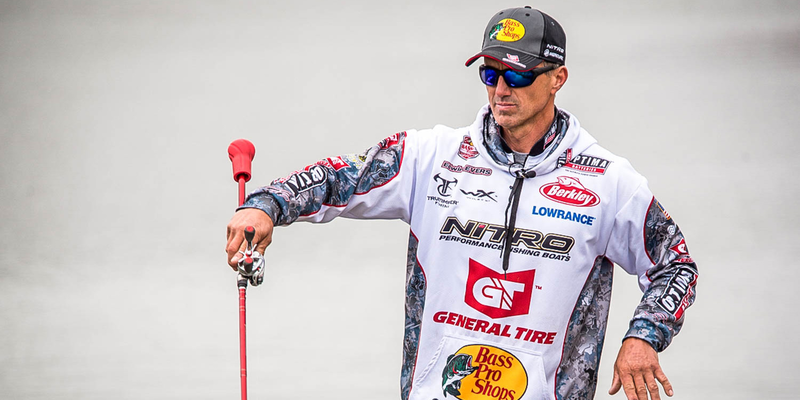 After adding 23 pounds to to his Shotgun Round total of 33-0 – bringing his two-day total to 56-0 – Strader heads into the semi-final round on top of the 40-man Group A, exactly 1 pound ahead of Bobby Lane (55-0). 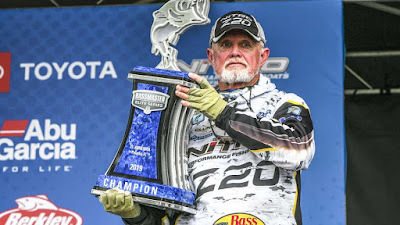 But Strader is quick to acknowledge that the competition has now become as much a game of strategy as of picking apart the water at Lake Conroe. 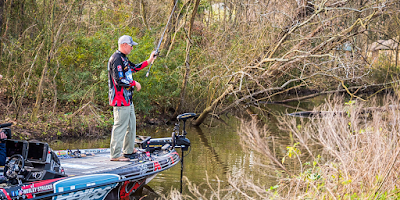 The East Tennessee pro summed it up best right after he put his last fish of Period 2 – a 4-4 – on SCORETRACKER: “I don’t care who passes me, I’m out of here,” Strader said as he Power-Poled up and backed his way out of the narrow creek he had been fishing to go scout new water. Strader would eventually add another three fish to his total in Period 3 to claim the top spot in the group, but used the entire period as a scouting exercise, hoping to find “the juice” for Saturday, when the weights zero. The majority of the Top 10 – most of whom were in good shape on SCORETRACKER when competition began, anyway – followed Strader’s lead. 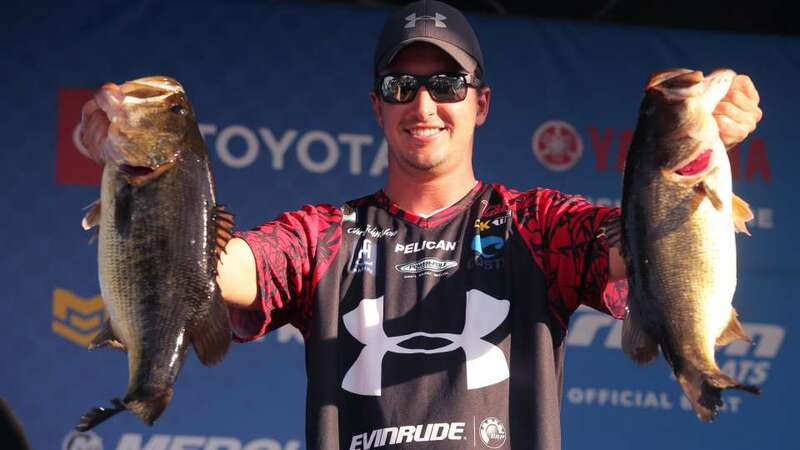 2019 FLW Tour Lake Toho Day 2: John Cox Retains Lead with 48-13lbs! Canadians Sim 50th & Richardson 59th. Cox sight fishing bedding bass to the lead. There was no “dirty 30” today; no “Big 3-0.” John Cox didn’t even break 20 pounds on day two of the Lake Toho FLW Tour event presented by Ranger Boats. He weighed in 17 pounds, 4 ounces today to go with 31-9 yesterday for a two-day total of 48-13, halving his lead from the previous day. While Cox didn’t need a big bag to stay on top, he’ll definitely need to step it up over the weekend if he wants to hold off young guns such as Aaron Britt (second place), who cracked 24-2 today, Braxton Setzer (third), who weighed 23-5, and a heap of other mega-hammers who are lined up in the standings behind him. The main difference in Cox’s performance today compared to yesterday is that his best areas have been worked over, and he didn’t spy any more quality bass on beds to tempt with sight-fishing tactics. Cox adapted and “fished out” midday with a Berkley PowerBait Wind Up, which is the same thing he did yesterday. At around 1, he caught a 5-pounder and then one that was close to 4. By sticking with the Wind Up he was able to cull out his smaller fish and get up to 17-plus pounds. It was a mental and physical grind for Cox, who’s been a bit run down and under the weather this week.